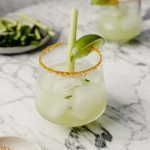 Thai Lemongrass Margaritas! Who’s ready for an easy-to-make-cocktail that’s refreshing and fun to serve all year long?! It fits right in with summer meals but can easily find a spot next to a spicy warm curry dish or stew. 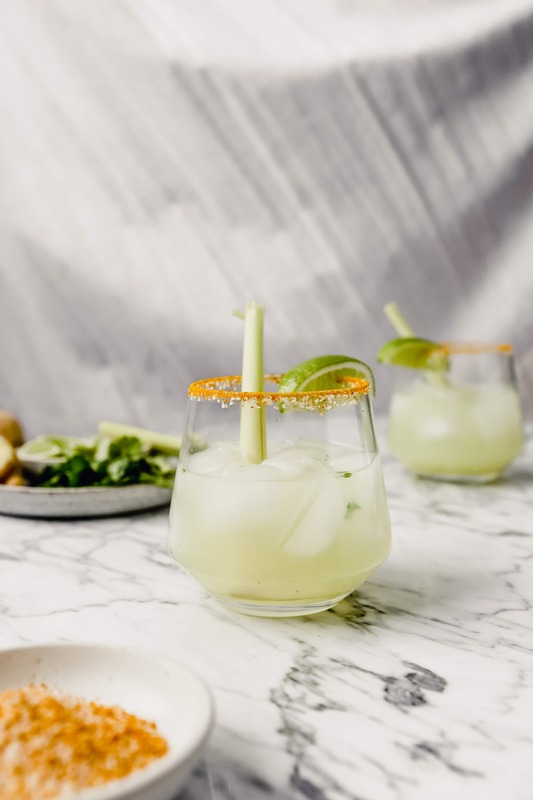 Flavored with fresh lemongrass, ginger and cilantro (or Thai basil), this Thai-inspired cocktail is definitely a surprising departure from the flavors of a classic margarita. Nonetheless, it’s one that has become a regular in our house. 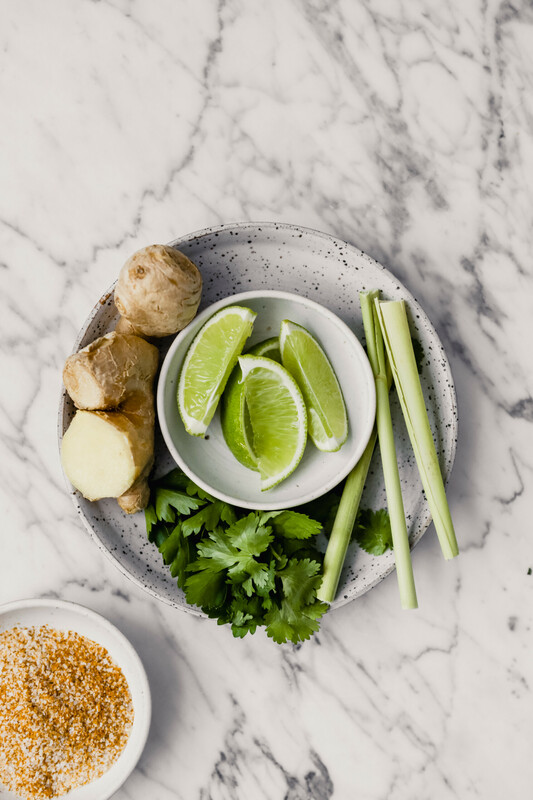 The ginger adds a spicy punch of flavor while the lemongrass is mildly herbaceous, and the cilantro, well cilantro is always good with tequila. For most of my cocktails I like to naturally sweetened them (just a bit!) as often as I can. 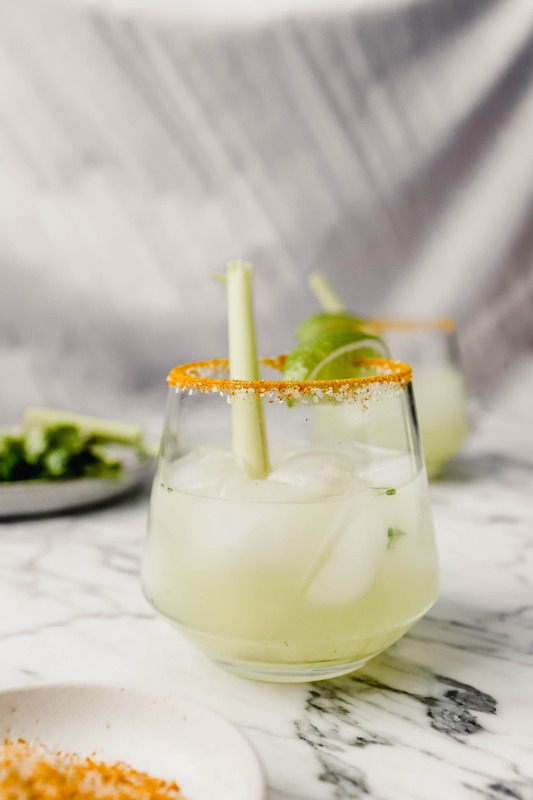 This lemongrass margarita does have a bit of orange liqueur but is mostly sweetened with natural agave nectar. is made from the agave plant. It’s poisonous raw but once baked or made into a syrup it can be used in a variety of applications such as cocktails, desserts and more. Additionally, agave is what tequila and mezcal are made from. You can find agave nectar in most grocery stores now next to the honey or maple syrup. What is lemongrass and where can I find it? Lemongrass is a classic herb used in Thai and Vietnamese cooking. It’s a long, thin stalk (looks like a reed) and is light grayish-green with a white, woody base. It has a mild lemony flavor that can best be described as sour-lemon and herbal. Most grocery stores sell them in small 2-inch pieces in plastic clamshell herb containers but I prefer to stop by my local Asian (or Thai) market instead. The lemongrass offered at most Asian markets is much fresher and in their full-stalk form. However, whatever you can find will work for this recipe. 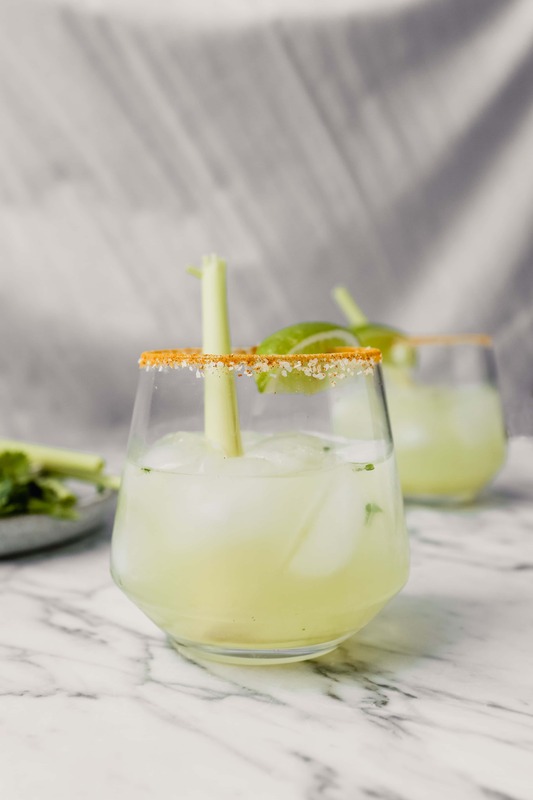 What to serve with this Lemongrass Margarita? Although these margaritas are Thai-inspired, they still go really well with all kinds of foods. 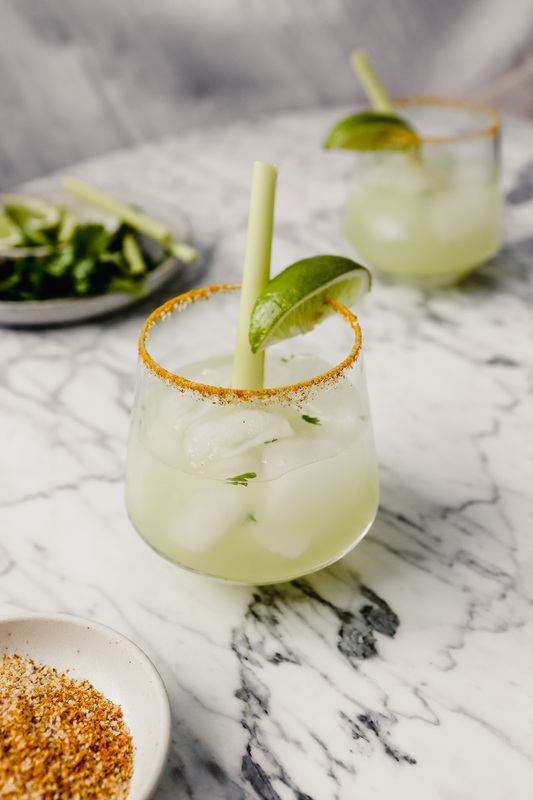 From tacos (obviously) to salads, grilled fish and of course Thai food, these margaritas are very versatile. That all being said, I did develop these with a menu in mind. Check out my Curry Night Menu! This curry dinner menu is great for busy weeknights as well as if you’re planning a dinner party! Yum!! You had me at Lemongrass! Cannot wait for the first summer day to make these beauties!